Venom immunotherapy is a successful and lifesaving treatment option. Most of us develop redness and swelling at the site of an insect bite. However, if you are allergic to stinging insect venom you are at a risk of a severe reaction. This is called anaphylaxis. Anaphylaxis from insect stings causes at least 50 known deaths each year. 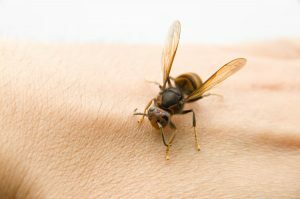 Most serious reactions to insect stings are caused by five types of insects. These are fire ants, honey bees, yellow jackets, wasps, and hornets. Allergy immunotherapy is the only treatment known to reduce and prevent reaction to insect sting. It can be life-saving for those affected. It has been shown to be 97% effective in preventing a life-threatening reaction to an insect sting. An accurate diagnosis and treatment can decrease anxiety about insect sting and bring peace of mind.